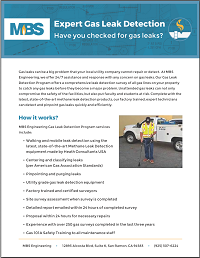 Unattended gas leaks can not only compromise the safety of your facility, but also your staff. Don't expose your people, organization or property, legally. 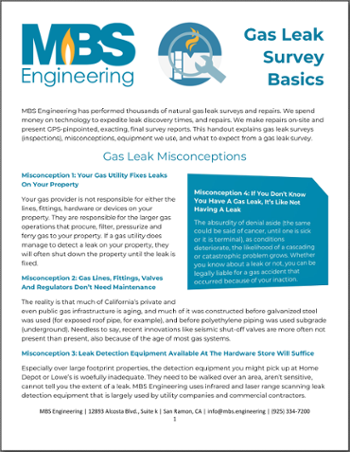 Your local utility company can supply gas and gas leak detection services on your property - sure - but if a leak is found on property you own or control, 1) it will be shut down, and ​ 2) the utility will not perform the repair. 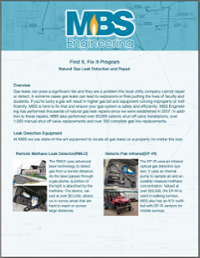 MBS Engineering can help you stay ahead of system problems with natural gas. 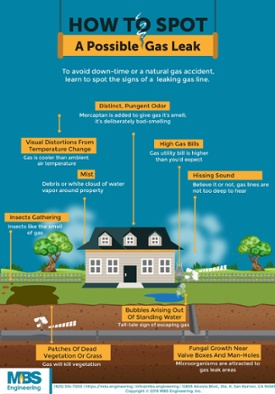 ​For small leaks, we can typically repair your gas lines on the spot. 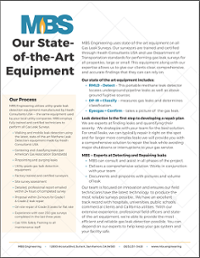 For larger or more complex leaks, we will provide you with a comprehensive solution to repair the leak while avoiding major shutdowns or interruptions to your gas service. 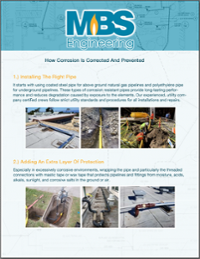 Whether it's high-tech seismic shutoff valves, infrared or laser gas detection equipment, hydrovacs for clean potholing - we don't cut corners or with the tools we use. 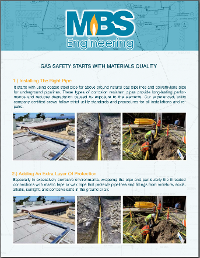 When safety, efficiency, reliability are paramount - trust MBS. 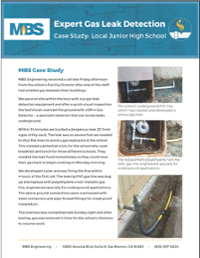 ​MBS Engineering uses state-of-the-art equipment on all Gas Leak Surveys. 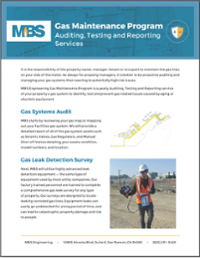 Our surveyors are trained and certified through Heath Consultants USA and use Department of Transportation standards for performing gas leak surveys for all properties, large or small. 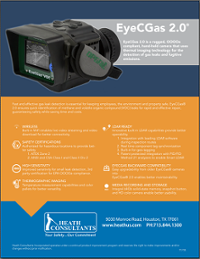 This equipment along with our expertise allows us to give our clients clear, comprehensive, and accurate findings that they can can rely on. 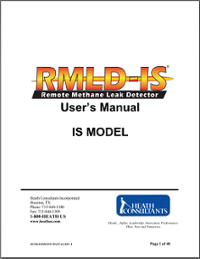 RMLD = Detect -- This portable methane leak detector locates underground pipeline leaks as well as above ground fugitive sources. 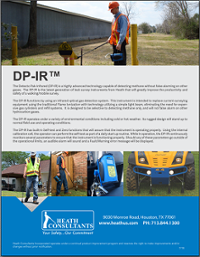 ​DP-IR = Classify -- Measures gas leaks and determines classification.